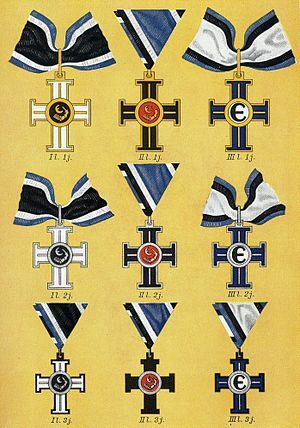 The designer of the Cross of Liberty was the famous Estonian artist Peet Aren. He used Grand Master of the Teutonic Order (hochmeister's) cross as the basis for the shape of the Cross of Liberty. ^ Hannes Walter. Eesti teenetemärgid. Tallinn 1998.